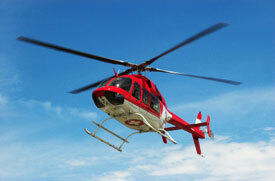 The New Orleans Aviation Board has owned and maintained a public-use heliport in the city’s downtown for Over 30 Years. For many years the facility served an important role in helicopter transportation between business and off-shore oil and gas sites in the Gulf of Mexico. Notwithstanding the heliport’s key role in the disaster response following Hurricane Katrina, the facility has significant physical limitations in normal operations preventing it from growing in the marketplace. TMG was tasked to develop a master plan as guide for development of a replacement facility based on current and potential helicopter aviation demand. In addition to feasibility, funding strategy, and business plan, the study included a site selection evaluation and recommendation to best meet the client’s objectives. Since 1984, TMG Consulting has guided the Louis Armstrong New Orleans International Airport (LANOIA) through the implementation of its ongoing $850 million Capital Improvement Program. TMG has assisted the New Orleans Aviation Board and staff in the development of financing options, federal funding coordination, and assistance/oversight of major bond and related financing mechanisms. TMG has also provided capital program planning and management services to LANOIA for 23 years. TMG has been involved in all phases of program development including the designer selection process, overall program coordination and field monitoring of construction projects. At LANOIA, TMG has worked in all phases of the Airport’s operation including concessions, Master Lease negotiations, policy development, benefit-cost analysis, procurement planning, state/ federal relations, DBE programs, and associated matters. Recently, TMG has provided master consulting assistance for the sale of $54 million of Gulf Opportunity Zone bonds. The proceeds, to be repaid by Passenger Facility Charge (PFC) revenues, will fund terminal restoration and modernization and improve passenger service. Included in the projects funded are restroom construction, terminal lobby renovation, baggage systems, and concourse expansion. TMG Consulting was a member of the bond team and completed the work with the associated PFC Application for Federal Aviation Administration (FAA) approval of the funding. We have supported LANOIA’s $570 million PFC program since Congress provided for this funding in 1991. Also, TMG was able to assist LANIOA with completion of a ten-year effort to improve rental car services and the award for construction of a $100 million Consolidated Rental Car Facility. Funded almost completely by Gulf Opportunity Zone Bonds to be repaid by rental car user fees, along with 5 remote service centers and a new utility building, this project creates an 1,800 space rental car facility within passengers’ walking distance of the terminal. TMG guided the project’s conceptualization as well as rental car companies’ approval and was a member of the bond team for financing the project, which is scheduled to open in late 2012. In the wake of Hurricane Katrina, TMG has assisted LANOIA with development of a relocation study and master plan to guide the relocation of LANOIA’s Downtown New Orleans Heliport. Originally located at the site of the New Orleans Arena, the Heliport was a critical response center for rescue efforts following the 2005 disaster. TMG has assisted Baton Rouge Metropolitan Airport (BTR) with both its Master Plan as well as its Disadvantaged Business Enterprise (DBE) Program. As part of the master planning process at BTR, TMG conducted an environmental review at the Airport. To start, TMG contacted federal and state agencies that have jurisdiction over the Airport in order to apprise them of the Airport’s plans as well as to seek input on potential environmental impacts. TMG analyzed each project slated for development in the master plan for environmental impacts and determined what form of environmental documentation would be required for each project. TMG also provided cash flow analysis for the funding of the capital program proposed in the master plan. Initially TMG was hired to prepare the Airport’s Disadvantaged Business Enterprise (DBE) Program. After the Program received FAA approval, the Greater Baton Rouge Metropolitan Airport Commission retained TMG to continue oversight and development of this Program. TMG assists with the airport’s annual DBE Outreach Conference. This event showcases the airport’s DBE program and renews and expands the vendor pool as well as increasing awareness of BTR’s minority inclusion efforts in the community. In 2010, over 80 new vendors attended in order to explore opportunities with the Airport. TMG has assisted airport staff with this event every year and works with DBE and Prime firms to understand the requirements of the Airport's DBE program and learn how to participate in Airport work. TMG Consulting was hired to assist Shreveport Regional Airport with the administration of its Passenger Facility Charge (PFC) program. In the course of a standard FAA review of the program’s accounting, TMG prepared correspondence and summaries of financial documents that demonstrated the program’s long-term success. TMG also assisted in the production and submission of a PFC Application to apply PFC revenue towards debt service costs related to the last major renovation of Shreveport’s passenger terminal, thereby reducing costs for the Airport. TMG has enjoyed a very successful relationship with the Houma-Terrebonne Airport Commission. Over the course of this relationship, TMG has prepared a Benefit-Cost Analysis for the Commission’s proposed Runway 18/36 strengthening project, performed Legislative Coordination Services, served as liaison to the Federal Aviation Administration on behalf of the Commission, coordinated and performed oversight of the preparation of the Houma- Terrebonne Airport Layout Plan and prepared an FAA-approved Disadvantaged Business Enterprise Program. TMG also produced Houma-Terrebonne Airport’s Master Plan. As part of the planning process, TMG prepared an existing land use inventory and projected future land use surrounding the Airport. In conjunction with this effort, TMG made recommendations to the Airport and the Parish government regarding a capital improvement program including proposed funding sources and cash flow, and appropriate land use and zoning controls for adjacent land. TMG has enjoyed a successful relationship with the Baltimore/Washington International Airport. Our accomplishments include the preparation of a Letter of Intent Application to fund portions of the airside development associated with the new Pier A and the preparation of a Baggage System Study for the Airport’s International Terminal. In addition, we prepared a Passenger Facility Charge Impose and Use Application that provided financing for elements of the Airport’s $1.3 Billion Capital Improvement Program. Using the Federal Aviation Administration’s “Benefit-Cost Analysis Guidance,” TMG prepared a Benefit-Cost Analysis Study (BCA) for the Mobile Regional Airport's proposed new Air Carrier Runway Project. The purpose of the runway project was to provide aeronautical benefits to the Mobile area by increasing the Airport's operational capacity, providing an alternative air carrier runway, enhancing air traffic control of the area, and improving the safety of the Airport’s operations. The benefits were measured in terms of saved aircraft and crew operational costs and were compared, on a present value basis, to the implementation costs of the runway. TMG served as Staff Planning Consultant to the Richmond International Airport. In this capacity, TMG prepared Letter of Intent and Passenger Facility Charge Applications and submitted them to FAA. Associated with these actions, we completed a Benefit-Cost Analysis, Construction Cost Estimates and Independent Fee Analyses for several Professional Service Contracts. We successfully assisted the Airport with the negotiation of a new lease agreement with the airlines. TMG also created and updated the Airport’s Master Lease Drawings. In addition to serving as the Airport’s Staff Planning consultant, TMG served as a member of the URS Program Management Team providing overall funding planning for the Airport’s $300 million Capital Improvement Program as well as supplying architectural design oversight for various projects. Our tasks included coordinating with the airlines, FAA, Airport staff and the designers to facilitate design and construction completion on schedule and within budget. TMG assisted the Airport in maximizing federal and state funds while conserving the local funding requirement for the Airport’s Capital Improvement Program. Using the U.S. Bureau of Economic Analysis Input-Output Model, TMG prepared an Economic Impact Study for the Lambert–St. Louis International Airport. This study quantified the primary and induced impacts of the Airport on the St. Louis MSA in 1999. In addition, this study estimated the impact of the Airport Development Program based on construction cost estimates and future impacts based on enplanement and operations projections. This study shows the strong economic influence of the Airport on its region through job generation, personal income, business revenue and taxes.